The mister has been giving blood since he was in his twenties. These days he gives platelets. He donates at least twice a month. Sometimes, if the Red Cross is having a shortage of his blood type they call him and he makes a special trip. Most people probably do not think twice about how we bank blood, or who developed the procedures for collecting and storing blood products. Luckily, right around World War II, people were thinking about this pretty intensely. 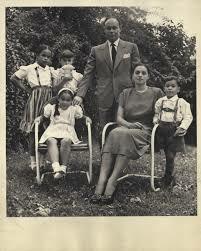 Charles Richard Drew was born in Washington, DC in 1950 to a middle-class African American family. His father was a carpet layer, and his mother was trained as a teacher. He was not a brilliant student when he was young, but he was an excellent athlete. In 1922, Drew earned an athletic scholarship to Amherst College in Massachusetts. He was one of 13 African Americans in a school of 300. In his senior year, he was passed over for captain of the football team even though he was the best player. As far as academics? He had no idea what he wanted to do until he took a biology class. It changed the entire course of his life. He decided to study medicine. Unfortunately, there were very limited opportunities for black people interested in any science. Many of the programs in America wouldn’t consider accepting a black student into their programs. His path to becoming a doctor was very narrow. He did his graduate work at McGill University College of Medicine in Montreal, Canada. While he was at McGill, he won lots of prestigious awards, scholarships, and was on the staff of The McGill Medical Journal. In 1933, Drew graduated second in his class of 137 earning his MD and CM (Mastery of Surgery) Degrees. 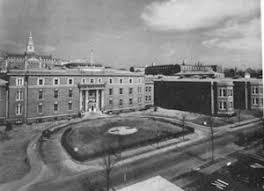 From 1933 – 1935 Drew did his surgical internship at Montreal Hospital. It was at this time that he became interested in transfusions and working with blood products. He wanted to study at the Mayo Clinic, but black doctors were banned from practicing there. Mayo’s loss was Howard University‘s gain. He joined the faculty at Howard, and taught classes as well as interning at Freedmen’s Hospital. He worked his way up to Chief Surgical Resident. In 1938, Drew studied at Columbia University for his doctorate. He won a fellowship to got to New York and study with the eminent surgeon, Allen Whipple at Presbyterian Hospital in New York. 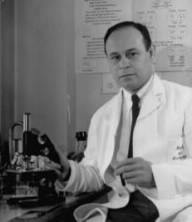 When Charles Drew arrived, instead of giving him the duties he was supposed to have working in labs and seeing patients, Whipple assigned Drew to a grant project that was being run by John Scudder to set up an experimental blood bank. This way none of the white patients or lab technicians had to either work with, be supervised by, or encounter Drew. Drew married Minnie Lenore Robbins in 1939. Minnie was a professor of home economics at Spelman College. In 1942, Charles Drew earned a Doctor of Science in Medicine from Columbia University. He was the first African American to have done so. Scudder recruited Drew to help him set up a blood bank in England in WWII for the war effort. The process Drew, Scudder, and E. H. L. Corwin created to store and ship blood products safely is the model we use today. Drew went back to Howard and worked hard to train black physicians. His dream was to create the most excellent physicians anywhere in the country. He also worked with the Red Cross to establish blood banks around the country. 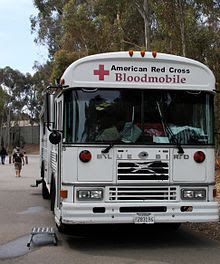 Charles Drew was the person who came up with the idea of a “bloodmobile” and the necessary equipment needed to safely store and transport the collected blood to blood banks. Despite Drew being the pioneer of the way the Red Cross collects and stores blood, the organization did not accept blood from African Americans. Drew wasn’t able to donate. He railed against this restriction as nonsensical and unscientific. He said it was insulting to African Americans who were just as eager to help the war effort as any other Americans. The Red Cross did eventually start allowing blacks to donate, but they kept their blood segregated. There are some stories that Charles Drew resigned his position as Assistant Director of the National Blood Donor program and returned to teach full time at Howard because he was so disgusted by the Red Cross’s policies about how they handled African American blood donations. There are also those who claim he had always planned to go back to Howard to teach and that he had been too long away from his wife and their first child, BeBe whose name is really the initials for Blod Bank. In 1950 he was off to a conference after having been in surgery the night before and fell asleep at the wheel. The car went off the road and into a field where it cartwheeled several times. The other people in the car had minor injuries, but Drew’s foot got caught beneath the brake pedal, and his leg was horribly mangled. Despite rushing him to a hospital and getting all the treatment possible, Charles Drew died of his wounds. There are stories in the cultural fabric of this country that Drew died because he was denied a transfusion that would have saved his life, but that is just urban legend. His legacy of commitment to creating strong, knowledgable healthcare professionals lives on in a small private University in California. In 1966, as a way to combat poor access to healthcare for African Americans and as part of the Civil Rights movement to promote equality, The Charles R. Drew University of Medicine and Science was established. The next time you hear about a blood drive, or give any blood products, or drive by a Red Cross, you are looking at the enduring legacy of one of America’s Genius African American Physicians. There is so much I left out of this quick sketch about how incredible and brilliant this man was. Follow some of the links and they will lead you to other links. I’m a history nerd. I’ve been down this rabbit hole for the last two days and I’ve only surfaced to write down a few notes! Lastly, I love it when my worlds collide. In February of 2018, Minnie Lenore Robbins Drew’s grandson interviewed his mother about his grandmother on StoryCorps. The interview is 12 minutes long. Have a listen! Thank you, Dr. Charles Richard Drew for all that you gave us.